Our lightest structure product (think of it as a less controlling sister). 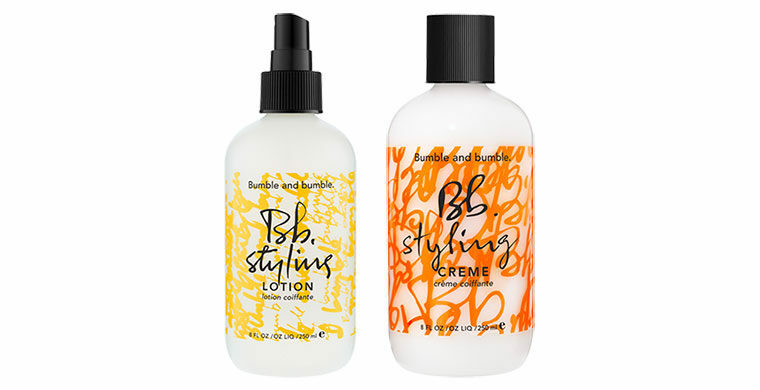 WHAT: A versatile styling option for control, body-building or sleekness, plus a nourishing moisturizer which leaves hair soft with natural movement. WHO: Anyone; a good choice for fine, frequently styled, fragile or chemically treated hair. WHEN: Anytime; after Prep or Tonic Lotion and before heated tools. HOW: Spray on damp hair evenly by sections; work through and style. WHAT: Love it for its versatility and simple strength – slick back, add body, lift roots or define curl. The more you use, the more it holds – wet or dry. WHEN: After Prep or Tonic Lotion and before styling. HOW: Work through damp hair and style; use it with heat (like a mousse) to create manageable volume, or without (like a gel) for control.